I love quesadillas. I don’t like taking the time to flip quesadillas in a skillet, especially if I am making several. It just takes too much time. So for years I have baked my quesadillas. Unless I forget to set a timer (and forget about them), they turn out perfect every time! 2. 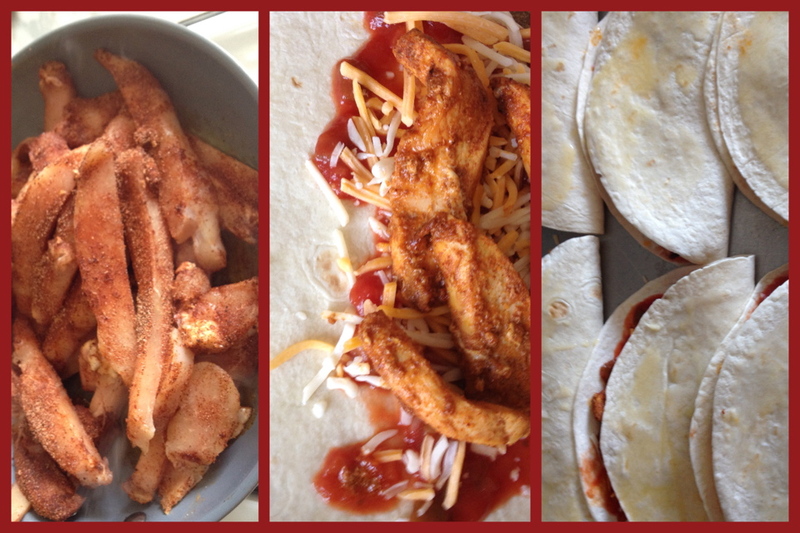 In a medium bow toss chicken strips and taco seasoning together. 3. Heat oil in a large skillet. Cook chicken for about 10 minutes, until no longer pink. 4. On one half of each tortilla, spoon salsa, sprinkle cheese and place sliced, cooked chicken. Fold over the top of the tortilla and place on a baking sheet. 5. Melt butter. Brush butter on top of tortillas. Bake at 350 degrees for 12-15 minutes, until cheese is melted and tops are lightly browned. 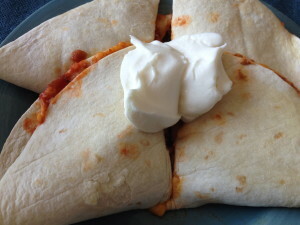 This entry was posted in Recipes and tagged baked chicken, chicken quesadillas. Bookmark the permalink.